So busy nowadays that I have no time for myself to do other stuff, only to get some sleep so that I can continue be busy. I am totally agree that busy is good for me, some say it's for the money, I will say it's for personal achievement as well as money as well. As some of you know that I just went to Bali recently and that is one hella beautiful place and I fell in love with Bali uncontrollably. 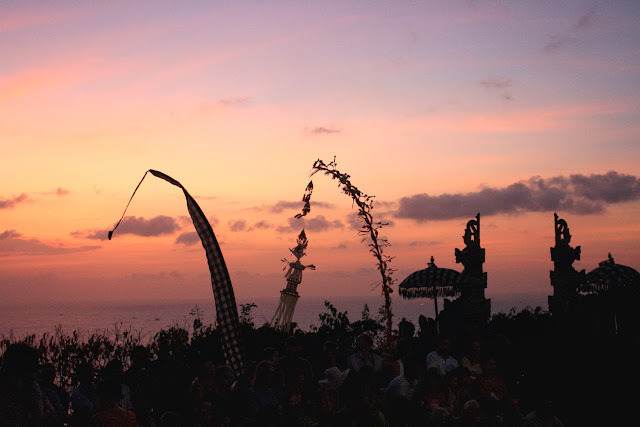 I wanted to visit Bali again, again and again! Took a lot of photos during the 3 days 2 nights trip and of course, a lot of experience to share with you all. Will blog about it once I have time to sit down and edit the photos. Can't wait to show you how stunningly beautiful the place is! Travelled to Bali, watched some awesome movies in cinema ( Rush and Gravity), finally get some good night sleep after the hustle bustles of travel and catch up with friends and family, and it's time to get back to work again tomorrow. Not to mention I still have tons of backlog blog post haven't write. Give me some more time will ya God! Okay, while I try to clear out my work, here's a photo I took at Uluwatu Temple during sunset. Oktoberfest Malaysia 2013 is HERE!! !